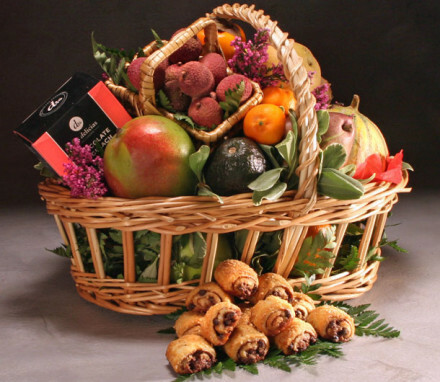 Our Purim baskets feature ready-to-eat kosher foods: fresh fruit, baked goods, snacks, and sweets. Purim 2019: Wednesday March 20 to Thursday March 21st. 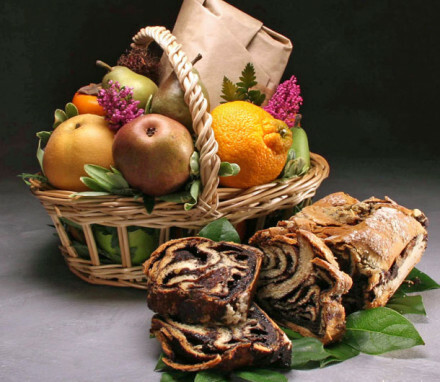 The giving and receiving of gifts of food and wine --- the “misloach manot” --- is a hallmark of the Purim holiday. 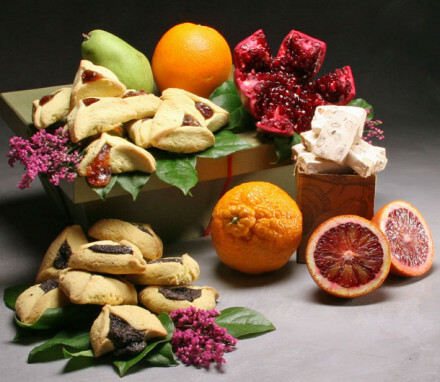 If you are looking for mishloach manot ideas for Purim, we designed two Purim baskets that meet all the special requirements set down for this occasion. 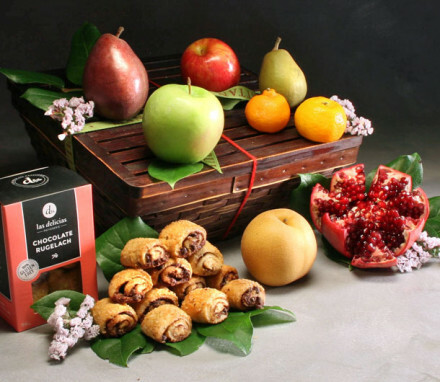 All of our Purim baskets contain ready-to-eat Purim treats that are Kosher such as fresh fruit, baked goods, sweet snacks and beverages that require no preparation. 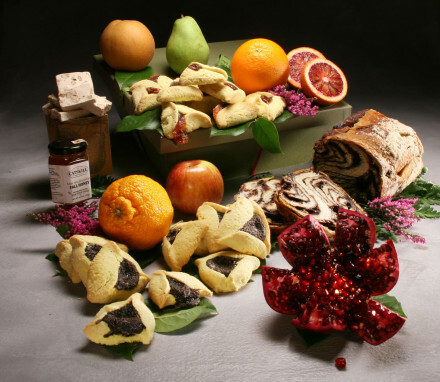 We made sure to include the traditional shalach manot baked treat of hamentashen (both poppy seed and apricot), as well as pre-wrapped sweet almond nougat and Kosher honey, with fresh fruit for health, in each of our mishloach manot baskets. The jovial Jewish holiday of Purim originates from the exciting story of Esther, who, by keeping her Jewish identity hidden, becomes the Queen of Persia and saves her people from annihilation. That day was celebrated with feasting and drinking, and today, Purim is observed in much the same way. Of course wine is going to add to the merriment of any festive meal! We think no idea for mishloach manot would be complete without wine, so we also offer to pair all of our Purim baskets with delicious Kosher wines from Israel. 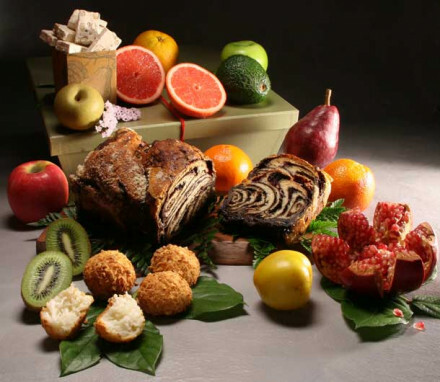 It’s a “mitzvah” or “good deed” to send a gift of food and drink on Purim to friends and family. The Book of Esther stipulates several customs for Purim festivities. Interestingly, messages and messengers figure prominently and the verse about the misloach manot specifically instructs that Purim baskets should be sent not brought. 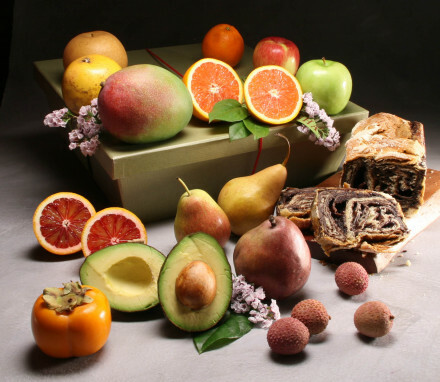 Whether to out-of-town friends and family, or to the hosts of your Purim meal, what could be more perfect than having Manhattan Fruitier deliver your misloach manot basket for you? “Chag Purim Sameach” or “Happy Purim”!